Sometimes, smaller is better. Let me explain. 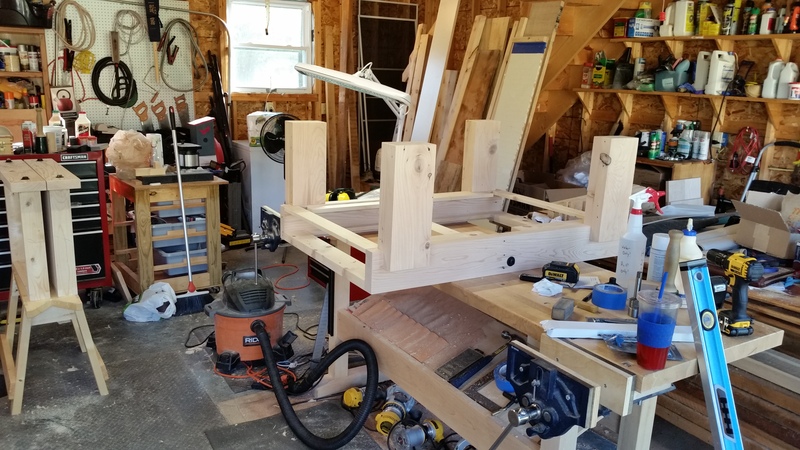 While at my parents’ house in Rutland County, Vermont on and off during my six-month leave of absence, my woodworking shop occupied two bays in a three-car garage. 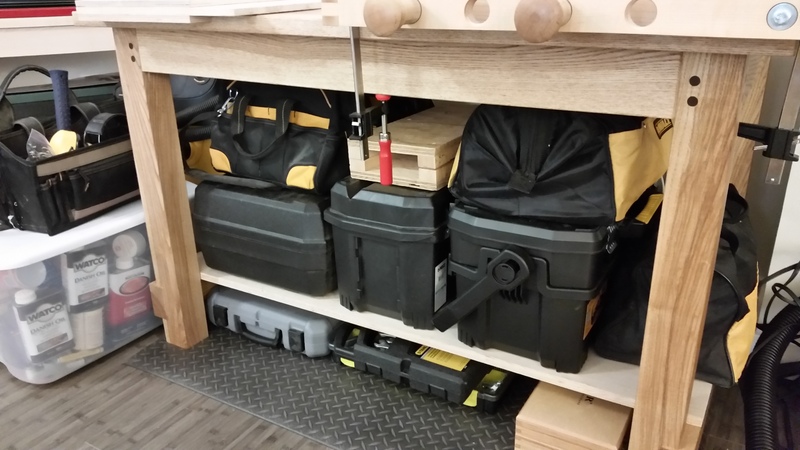 It was I think the right amount of space for a shop that consisted mainly of a seven foot workbench, compound double-bevel miter saw, thickness planer, Craftsman rolling cabinet and dedicated sharpening station, as well as a largish lumber rack. I had room to spread out and I never felt cramped (except when an assembled, drying project was messing up my Feng shui). Which, let’s face it, happened pretty often. But, as they do, all good things end and I have since returned to my life as a Manhattan-based M&A attorney. My workbench, miter saw, thickness planer and rolling cabinet are all now living in disuse at my parents’ house in New Haven County, CT. 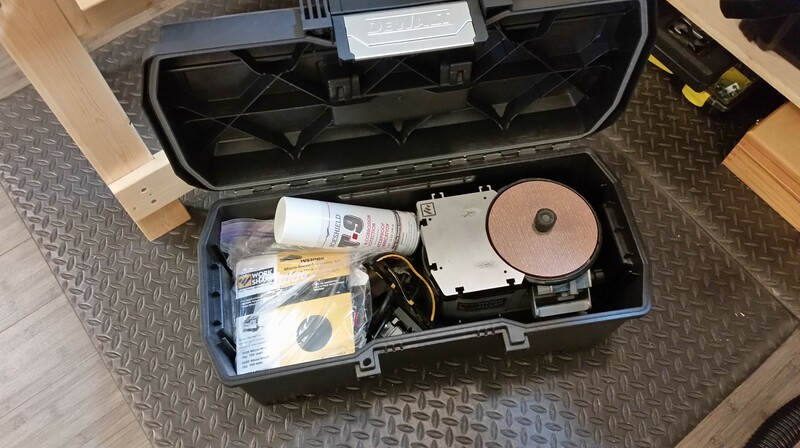 The closest thing I have to a dedicated sharpening station in my new apartment is a machinists granite slab and a WorkSharp 3000 with its own plastic toolbox. 7.) 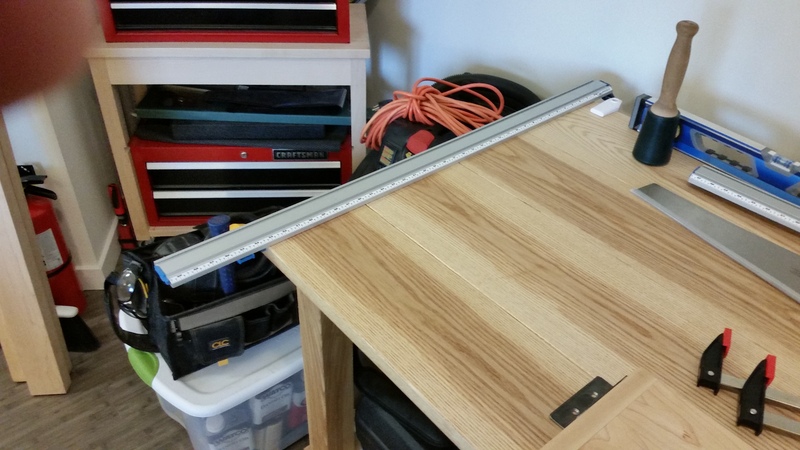 Other miscellany includes my excellent LED task lamp, a Lie-Nielsen-style saw vise, a shooting board/bench hook (once again, a Chris Schwarz design), various straight edges and squares and other random items. I am confident everything possible is packed into the limited space, but I don’t feel like I went overboard. I have everything I need to continue meaningful woodworking in the limited space of my apartment (and it’s not like I was overly reliant on power tools in the first place, having always been sans table saw and sans jointer). I know myself well enough to say that I will make regular sojourns to visit my thickness planer (it’s much easier to hand plane two sides straight and square and let the machine do the rest), but I am rather looking forward to breaking my miter saw dependence. It’s a straight edge clamp! Duh! That’s all for today. I promise that next time I will dissect my tool chests. I also have a silly little project in process (mostly for testing the capabilities of the Milkman’s Workbench), which I hope to unveil soon.